This is something I do weekly. You can keep up with what I’ve done throughout the week and what I’ve read or bought. Always feel free to share what you were up to during the week in the comments below. You can click each link, it’ll take you to their Goodreads page. Happy reading! I didn’t really have an eventful week away from my blog. I worked most of the week at night, which means I got a lot of reading done. Update on our garden: we have a sun flower growing! I’m pretty sure it’s a sunflower. It could be something else. I don’t even care. I’m just really happy that something is growing. Maybe next week I’ll actually have done something worth while to talk to you guys about. Dare To Seduce by Carly Phillips: I won this book in a giveaway. I’m not entirely sure what the book is about but I’m definitely in the mood for some romance. It’s also a super short book so I could probably read in a day. Out Of Focus by L.B. Simmons: I also won this book in a giveaway. This books seems like an emotional read. I can’t wait to dig into it and feel all the feelings. 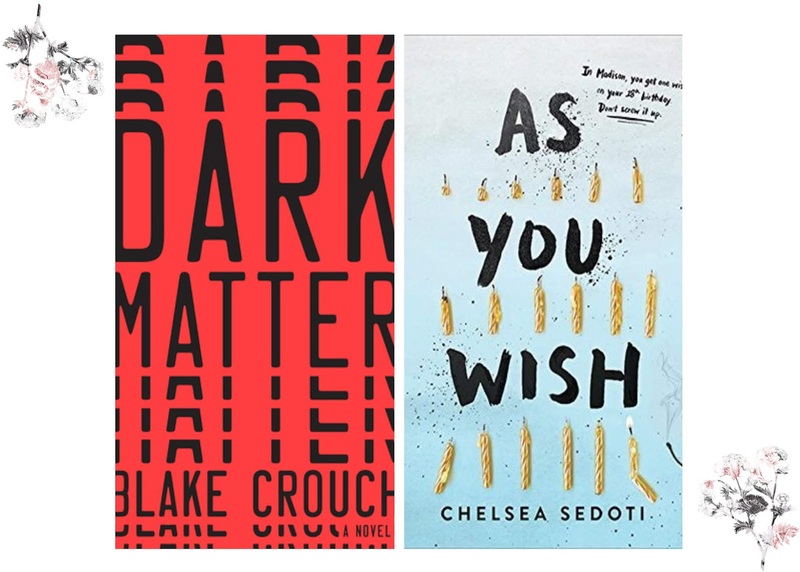 Dark Matter by Blake Crouch: I saw this book blow up throughout the book community. When I saw it for a dollar, I knew I had to have it. You really cannot beat cheap prices. As You Wish by Chelsea Sedoti: This is a book that I know hardly anything about. I was at Walmart and really wanted to buy a book. This is sadly the only book that our Walmart had that I don’t already own. Welcome to my shelves. 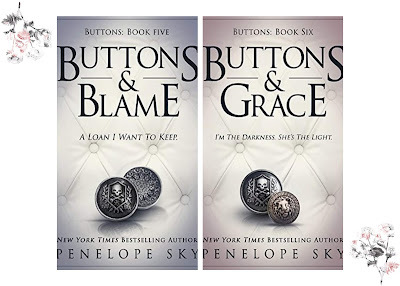 Buttons & Blame by Penelope Sky: I had to pick this book up right after I finished Buttons & Shame. I knew I needed to finish this series ASAP. I’m pretty sure I would have lost interest if I didn’t. I liked this one better than book four. There was definitely more action and that’s what I crave in these dark romances. 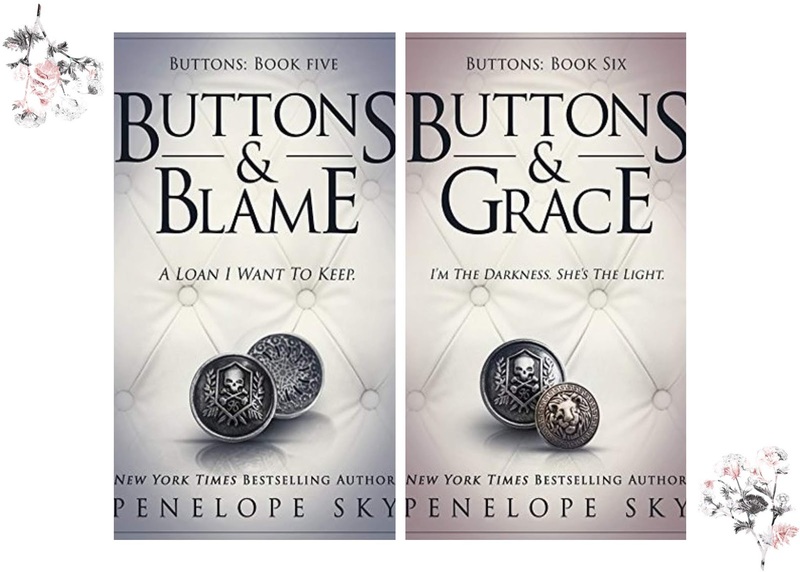 Buttons & Grace by Penelope Sky: I loved the ending to this series. It was everything I wanted it to be. Although, I feel like the ending is different in this book than it is in the third book. I feel like there’s an epilogue in the third book and it doesn’t match up. I could be wrong though.